Beware of Pine Nuts, All You Pesto Lovers! Last Friday, while preparing a quick snack, I decided to break open a bag of Trader Joe’s Pine Nuts. I tossed a few into my palm and devoured them. Then a handful. Then another. They tasted great, I couldn’t get enough. Fast forward two days to Sunday evening, when out of the blue, I developed a terribly bitter taste in my mouth, rendering all food unpalatable. Great for a dieting purposes I suppose, but food lover that I am, the situation was totally unacceptable. Not to mention entirely mysterious. Where could this have come from? I waited a day or so before succumbing to a complete freak out. Fearing the worst after eating a lot of homemade jam over the weekend, I immediately suspected botulism. Luckily, “bitter taste in mouth” is NOT a symptom of that dreaded disease. But what I quickly discovered is that I do have a case of “pine mouth,” apparently a relatively new but increasingly common problem associated with the consumption of Asian pine nuts. Pine Mouth is a huge bummer, though doesn’t seem to have a real health impact. It does cause that telltale bitter taste, especially when consuming sweeter foods. It takes a good 1-2 weeks to entirely disappear. And doesn’t make cooking much fun. I was ready to toss everything I made into the compost because I had no sense of how it really tasted. 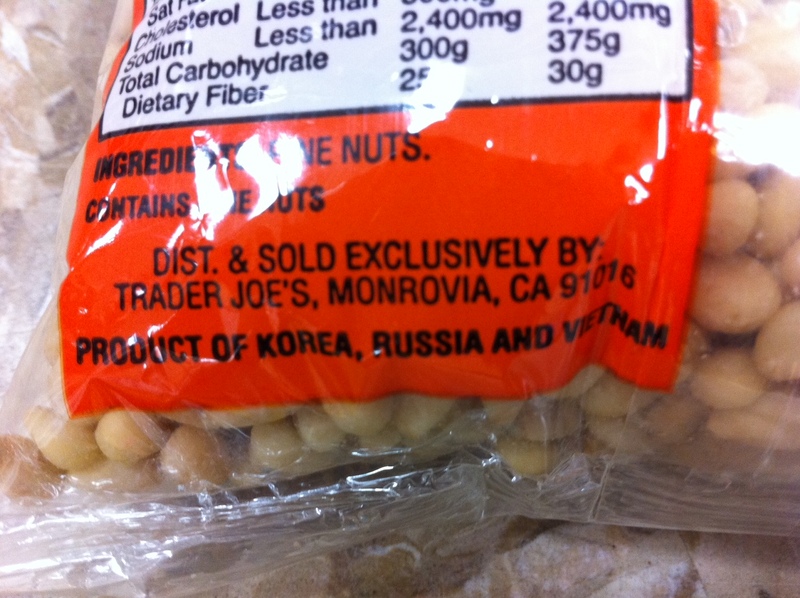 The US Food and Drug Administration is researching the matter but in the meantime, the best way to avoid pine mouth is to steer clear of any pinenuts that come from China, Korea or Russia (as is typical for pine nuts sold at Trader Joe’s and Costco apparently). For reference, these tend to be more conical in shape, in contrast to the European pine nuts that are slender and elliptical – and most importantly, do not appear to be implicated in this problem. Evidently the pine nut crops had a tough year. Whole foods only had a tiny jar for $7 when we were in Portland this summer. I sometimes use almonds as well. Glad you will be getting your taste buds back soon. Stroke of luck on a Google search! Funny you bring this up. 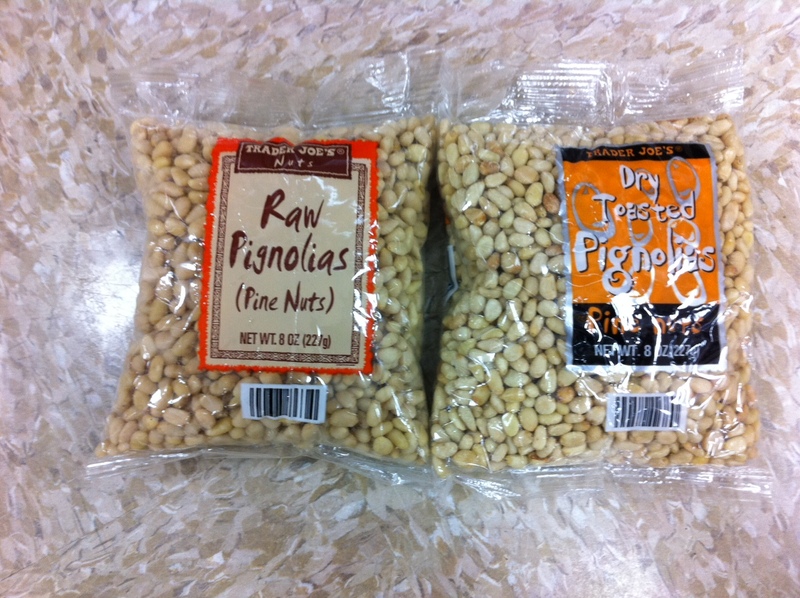 I was recently making pesto and found that our Trader Joe’s pine nuts were rancid. I decided to substitute almonds for the pine nuts and the pesto was delicious! I’d love to reproduce this on GoodFood World. Please email me if it’s ok and let me know how you want it attributed. Great piece! Our readers will appreciate it. Lena I don’t use pine nuts any more because it’s almost impossible to get any that don’t come from Asia. I prefer pesto with walnuts any way. I hope the bad taste goes away soon. I’ve been making a ton of jam lately too and I’d hate for it to have been the jam. I go back and forth between pine nuts and walnuts for pesto – but from now on, it will be a pine-nut free affair no matter what. I’m glad it wasn’t the jam as well. My rational side knew that botulism really isn’t a risk in high sugar environments but my irrational side needed some reassurance!